Leave the A9 at the Raigmore Interchange and head west along Millburn Road. Take first exit at the next roundabout and head south along Old Perth Road. Continue along the road until the mini-roundabout and take the first exit. At the next roundabout take the fourth exit onto Sir Walter Scott Drive. Go straight over four roundabouts and at the fifth roundabout take the third exit onto Culduthel Road. You will see Inverness Royal Academy on your left, but to reach the entrance continue on and take the next left onto Culduthel Avenue. The club joined the North Caledonian League in 2016. After initially playing at Farr Community Hall in Inverarnie, the club moved to Muir of Ord in November 2016. 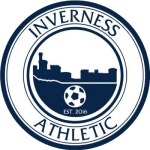 From 2019 the club moved to Inverness Royal Academy 4G.